Fears of border delays and complications in a post-Brexit UK have led to the French pharmaceutical company increasing its contingency stockpiles by four weeks to enable a 14-week supply of medicines in case there is disruption to the supply chain. 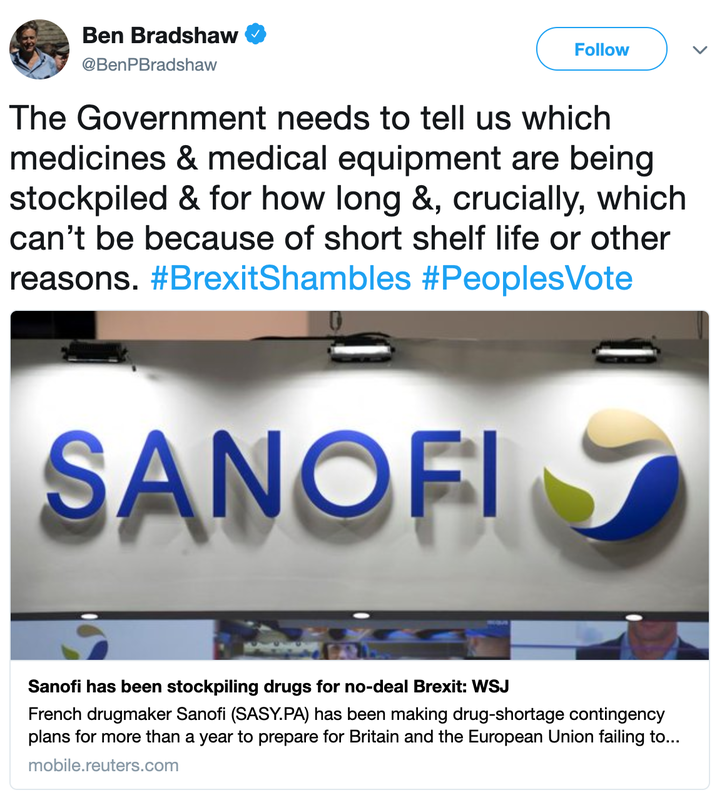 This has sparked outrage from those opposed to Brexit as the government is pressed to explain the impact that leaving the EU will have on medical supplies. 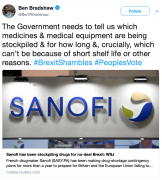 Sanofi – along with other drug companies, such as AstraZeneca – is worried about transport delays caused by Brexit, as most supplies have to cross the Channel. A no-deal Brexit could threaten the free flow of goods, particularly as there will be rigorous regulations in place that will necessitate the retesting of drugs shipped across borders in the absence of an agreed trading arrangement. 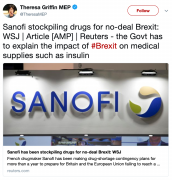 Sanofi has also stated that a hard-Brexit scenario will make its current quality control set-up impossible, as it sends batches of drugs back and forth across the channel, while job losses among the 1,800-strong UK workforce are very likely. 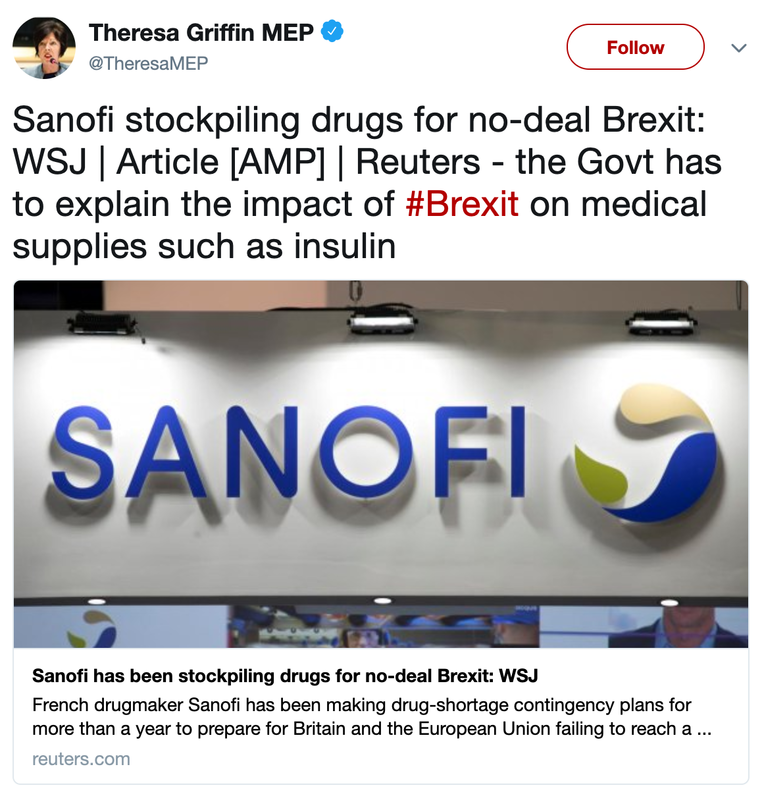 Similarly, AstraZeneca is also taking measures to ensure that it has a continuing supply of drugs should a no-deal Brexit come to pass. 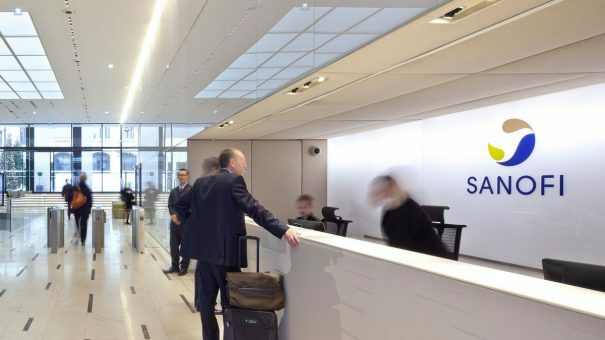 AstraZeneca began to make contingency plans following the 2016 referendum, increasing stockpiles of drugs in the UK and continental Europe which are likely to be affected by around 20%. this has not been possible for all medicines though, it is already making Zoladex (goserelin), a drug for cancers of the prostate and breast, at full capacity according to reports. This means its inventory currently can’t be increased to four months from three. Pharma companies have had to spend millions of pounds developing extra UK-based testing facilities to prepare products for distribution and have had to factor in other costs, such as making and storing the extra stock needed in case of delays at borders. The UK current exports over 45 million patient packs, and imports a further 37 million, while more than 2,600 drugs have some stage of manufacture in Britain. Last month, the European Medicines Agency warned that for 108 medicines made solely in the UK, there are serious concerns that the necessary contingency actions will not be carried out in time to prevent drug shortages.